Students in the Junior category must be in grades 7-9 (Secondaire I-III) at time of entry. Students in the Senior category must be in grade 10-12 (Secondaire IV-V) at time of entry. The Contest is open to CANADIAN STUDENTS who are currently enrolled in middle school or high school. Home school and Inquiry Based Learning students are also eligible. Essays can be submitted in either English or French. Essays should be no longer than 500-750 WORDS for the Junior category and 750-1500 WORDS for the Senior category. Participants must include the NAME AND CONTACT INFORMATION OF A TEACHER or instructor who has supervised and/or supported the submission. This person should be able to vouch for your eligibility as per the competition requirements. 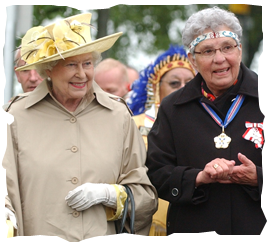 All submissions must be emailed to diamondjubilee@historica-dominion.ca no later than November 14, 2012. This is your chance to win great prizes and have your essay published on this website! All participants who provide a valid email address will receive a Certificate of Participation acknowledging their hard work and participation in this contest. The winning essay in each category will receive a prize pack, including an iPad 2. The winning essays will be honoured at a reception to take place in early December 2012. Transportation and double occupancy accommodation for the first place winners plus one adult chaperone will be provided. The first runner up in each category will receive a prize pack, including an iPod Touch. The judging process will take place in the week immediately following the close of the contest. The winning essay and the first runner up for each age category will be announced late November, 2012. Essay submissions will be judged based on the assessment criteria detailed in the below rubric. Only essays that address one of the below Diamond Jubilee Essay Contest questions will be considered for submission. Essays will be judged by a panel that includes Historica-Dominion staff members, historians and educators. All essays will be screened for plagiarism. Any submissions that are found to plagiarize other works will be excluded from the contest without notice. How is the Crown an important part of Canada’s democratic system? 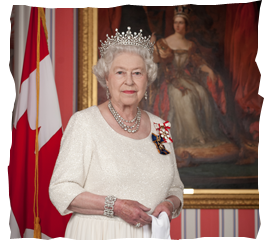 In what ways has Queen Elizabeth II contributed to and been a part of the idea of the Canadian identity? 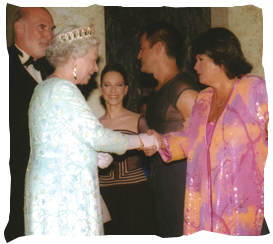 Write an essay in which you argue for the importance of maintaining the Queen and her successors as Head of State in Canada. 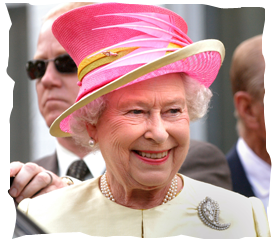 How has Queen Elizabeth II been able to maintain her popularity during the 60 years of her reign? In 1954, the Canadian National Railway, which owned hotels at the time, decided to name a new hotel being built in Montreal The Queen Elizabeth Hotel/Hôtel Le Reine Elizabeth. Conduct some research into the issue and write an essay about the history of honouring Her Majesty by naming things after her. To write the best essay possible, consider the following tips before researching and writing your essay. Is your information from reliable sources? Have you recorded information from those sources in your own words? Have you consulted a variety of sources and kept a list of those with the bibliographical information? A visit to your school’s library or your local public library would also allow you to get some of the best sources on the topic in addition to access to the many electronic databases to which libraries subscribe. Your essay should have an introductory paragraph that contains a thesis. A thesis is just another word for a main argument. Your essay should have an argument that you try to prove throughout the essay. Your essay should have an organized structure of paragraphs. An essay of the length suggested in this contest should have somewhere between four and six paragraphs. Your essay should have historical evidence in it. That is to say, it should use examples from the past to help prove your argument. The evidence could be in the form of examples of things that occurred in the past or quotations from sources that support your view. Your essay should have a strong conclusion at the end. Your essay should be written in your own words. Anything that is directly taken from another source should be in quotations. Your essay should capture your own “voice”. That means it is written in your own words and has your own analysis and thoughts. It is important that your essay address the question asked and reveal an analytical perspective as opposed to just re-telling information.